How to install Explosion Proof Cable Clamping Sealing Joint? 1. The size of the thin wall hole is recommended to be + 0.2-0.3mm of the outer diameter of the thread of the Explosion Proof Cable Clamping Sealing Joint. 2. When the thickness of the thin wall is less than 1.5mm, it is recommended to use two nuts, or change the type 0 sealing ring into a flat washer. 3. When choosing the cable sealing joint, the thickness of the thin wall should be measured first. If the thickness is too large, it should be confirmed with the technician before purchase, so as not to be unable to install after purchase. 4, if the screw hole is installed, the thread must be more than 3 teeth occlusion length (common link). 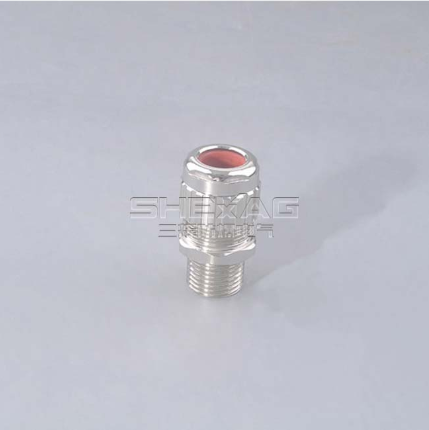 The above is about the cable sealing joint related content, the content of this paper by cable sealing joint arrangement, We are a professional EX Cable Glands Supplier China ,if you want to know more information about explosion proof cable clamping sealing joint, please continue to pay attention to our site.Thank you.